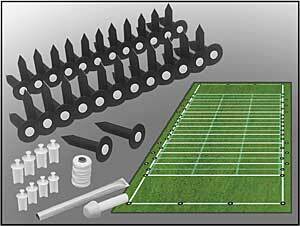 Football Field Lining Kits |Includes ground sockets, tools, etc. 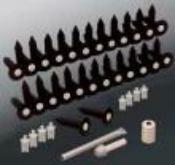 50 patented ground sockets w/ plugs. identifies all line intersections permanently. Simply connect the dots. No More repeated staking & measuring every year. Lines your Complete Football Field in 5 yard increments, goals & hash marks.